Rita Cadle has recently opened her doors to her shop Rita Kays Sweets & Treats and This & That. The store is comprised of several sorts of items and snacks. The shop is open Tuesday - Thursday, 10 a.m. - 6 p.m.; Friday and Saturday, 10 a.m. - 7 p.m. Rita Kays Sweets & Treats and This & That is located at 1619 2nd Street in Mason. For questions or concerns, contact Cadle at (304) 773-2503. Rita Cadle has recently opened her doors to her shop Rita Kays Sweets & Treats and This & That. The store is comprised of several sorts of items and snacks. The shop is open Tuesday – Thursday, 10 a.m. – 6 p.m.; Friday and Saturday, 10 a.m. – 7 p.m. Rita Kays Sweets & Treats and This & That is located at 1619 2nd Street in Mason. 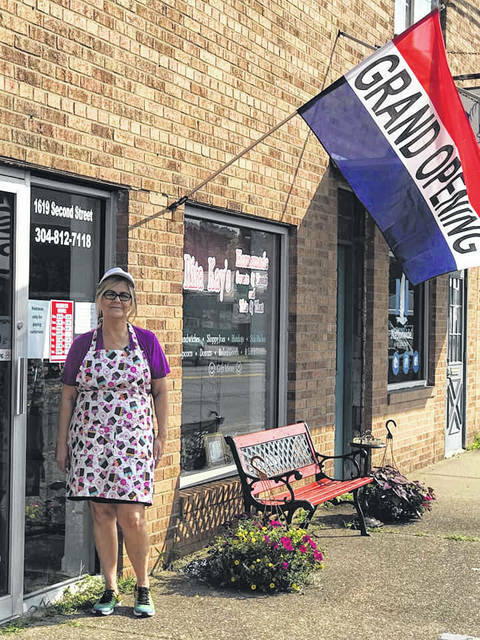 For questions or concerns, contact Cadle at (304) 773-2503.
https://www.mydailytribune.com/wp-content/uploads/sites/42/2018/08/web1_0809.Business.jpgRita Cadle has recently opened her doors to her shop Rita Kays Sweets & Treats and This & That. The store is comprised of several sorts of items and snacks. The shop is open Tuesday – Thursday, 10 a.m. – 6 p.m.; Friday and Saturday, 10 a.m. – 7 p.m. Rita Kays Sweets & Treats and This & That is located at 1619 2nd Street in Mason. For questions or concerns, contact Cadle at (304) 773-2503.